In the 1980's there was a popular TV show set in Boston called "Cheers". The premise was a bar that was like home to its guests. I could not help thinking about Prego's in this light when I arrived. There is a homeliness about it that I have felt at only a couple Italian restaurants in the city. The homeliness certainly does not come from the size - it is not an intimate restaurant. On the contrary, it is quite big, with seating inside in a very well lit space, full of natural light from the huge windows. Then there is the terrace, my preferred seating for the evening. As the cool evenings are about to come to an end here in the capital, it is the obvious choice. Indoor seating - light and bright. A growing trend in personalising the dining experience is to have chefs move around and mingle with guests. In this context, I met Chef Manuel, a larger than life figure with a passion for people and food. He goes through the menu and highlights some of the dishes. The antipasti all look so good, and Chef is able to read my first world problem. While I am definitely sold on the burrata, he offers to make me small tasting platter to accompany my 'main' antipasto. Chef explains that he has regular guests who prefer that he creates an experience for them in this way. Now this is easy to do in small restaurant, but it speaks volumes of chef's connection to his guests that he is willing to do it in a restaurant that can seat around 200 people. Of course, not everyone is requesting it thankfully. Ultimately, I like his attitude: if it is possible, we do it. I order the Burrata, while my guest orders the Confit of tuna loin. 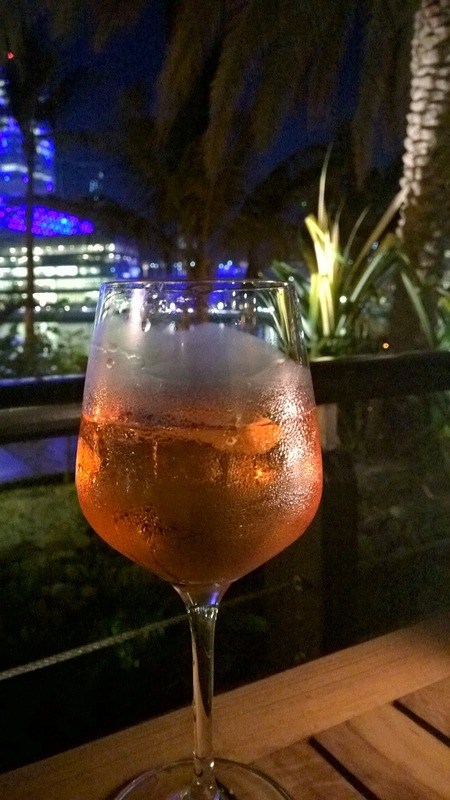 While we wait, our order for an aperitif is brought - my drink for the summer, an Aperol Spritz. Having fallen in love with it a short while ago, I have started making it my drink to get an evening started. Tonight's is perfect. The balance that keeps it fresh is there. On a couple occasions I have had it with too much Prosecco. No concerns this evening. It has that delicate balance. In the outside air, I cannot imagine a more appropriate aperitif. 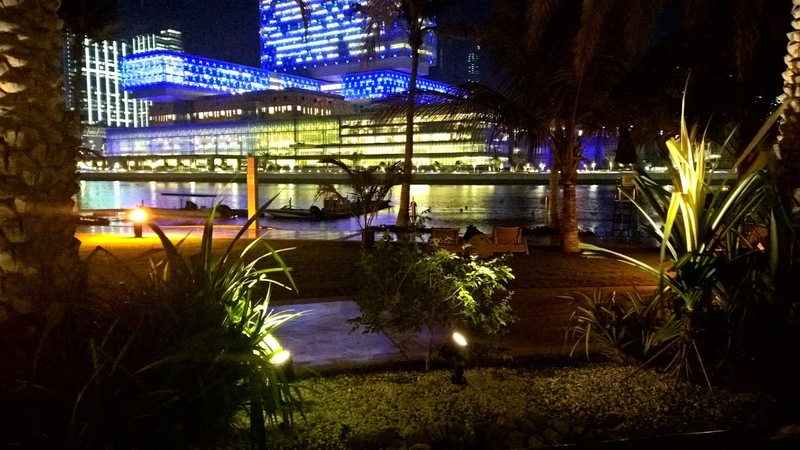 Tonight I am waited on by a waiter who, unbelievably, has been in Abu Dhabi for around only 4 months. Antonov has a rich story. His parents are Indian, while was born in Oman and has a family with an interest in things Russian! His secret passion - well no longer a secret, is to start a brewery! Seek him out on your visit. He is the kind of waiter who manages to cross over the line that divides the guest and the waiter, but does it so naturally and unobtrusively. Special. Our dishes are presented. The burrata is, as it should be, a classic rendition. It is almost rustic in presentation. 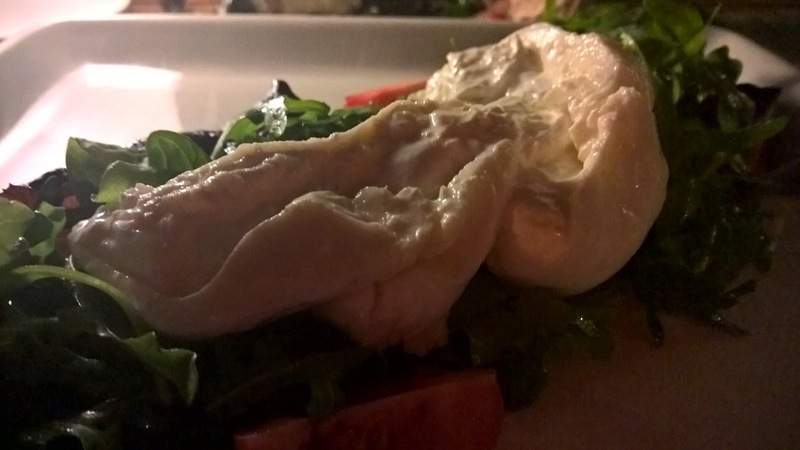 A healthy chunk of burrata lies on a bed of rucola with balsamic reduction. 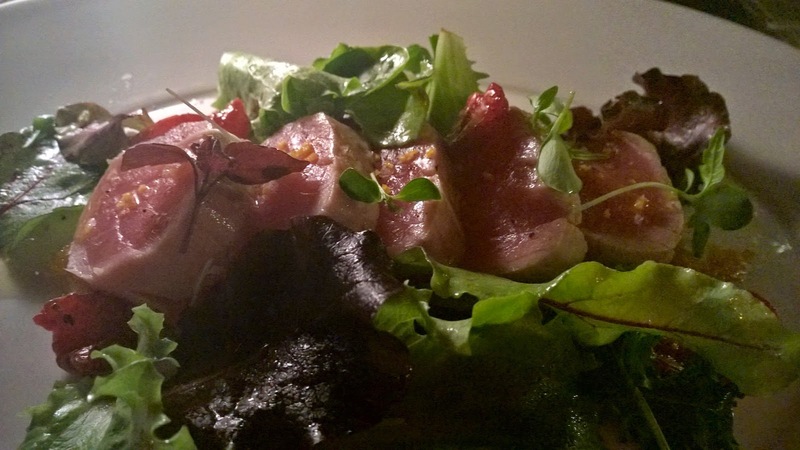 My guest's tuna loin is a winner. Chef has seared it very lightly, leaving a delicious pinkish colour. On its own, it tastes like tuna, unadulterated. 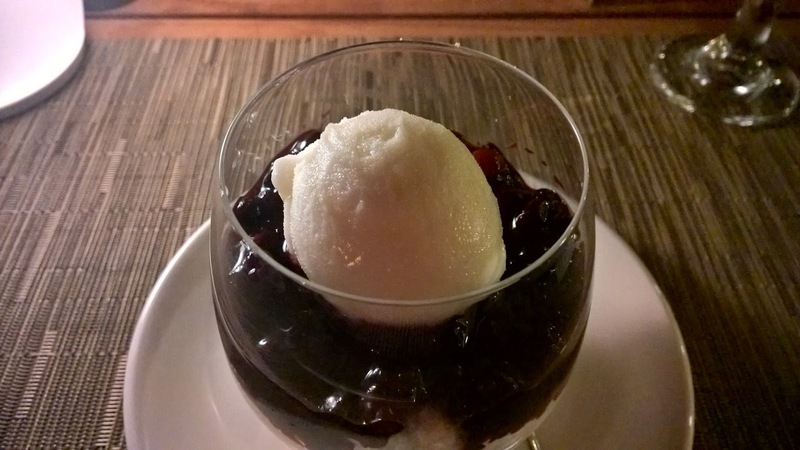 The flavours come from the orange marmalade, fresh raspberry and blackberry on the dish. Despite these, the overwhelming feeling is one of subtlety of flavours. Next, our tasting platter of small delights includes Vitello tonnato which is thinly sliced smoked veal belly, tuna mousse and capers, Sundried tomatoes and 1824 Beef tartare - all very small portions. Highly recommended. While both starters are quite delicate in taste, our tasting platter recommended by Chef is not. 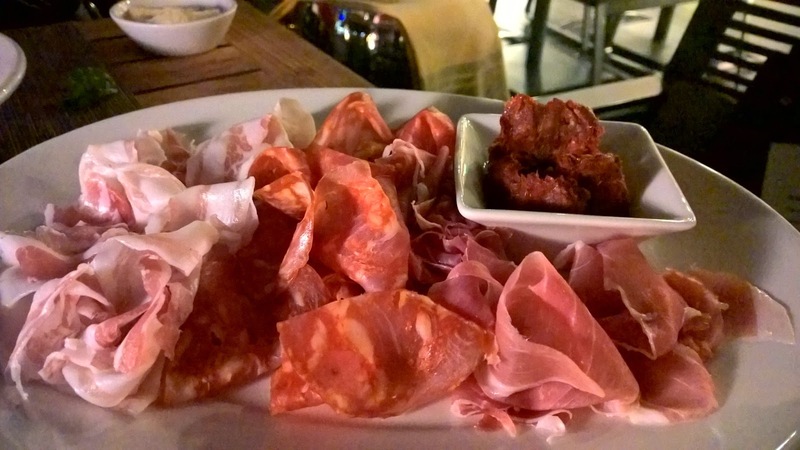 We have a small portion of pork cold cuts of Pancetta coppata, Parma ham and Spicy calebrese and Nduja della Sila. A rare treat in Abu Dhabi, it is the perfect accompaniment because of the strong flavours it brings to our starters. The latter, especially, a spicy spreadable of semi-aged pork from the Calabria region, wows. 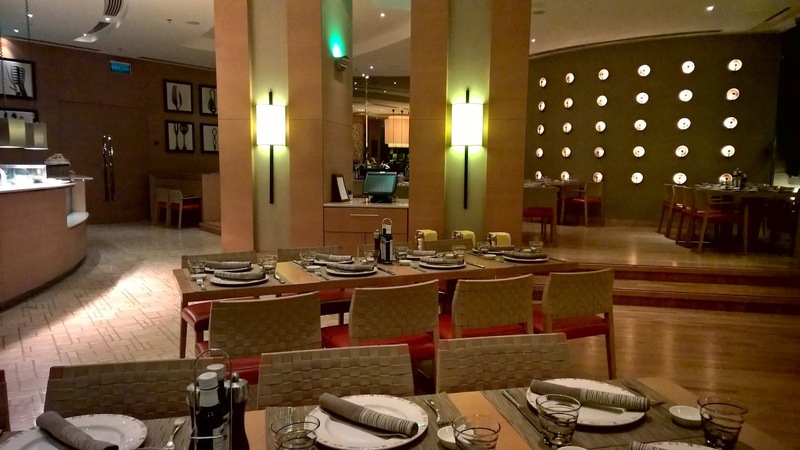 The Rotana group of restaurants boasts one of the most affordable options when it comes to wine. The wine list at Prego's ensures that guests are able to have what would be an otherwise expensive bottle of wine. Notwithstanding, I am keen on a Prosecco, but apart from the Zonin, there are no dry options. A pity. 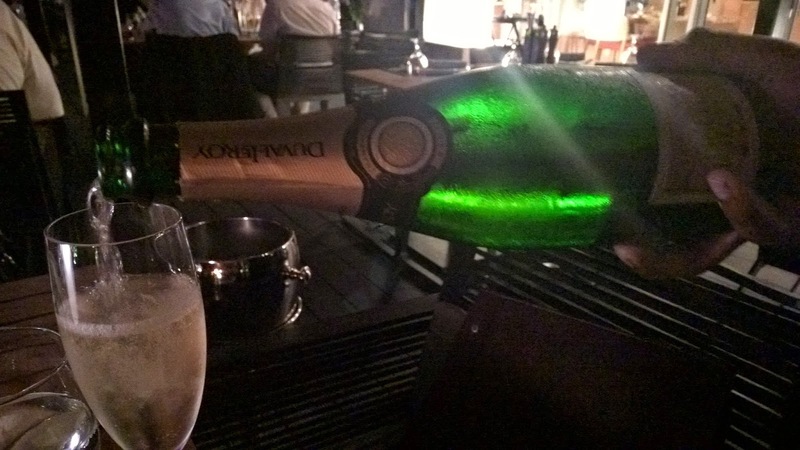 In view of this, I have the NV Henri Abele Brut, a lesser known Champagne, but one that I prefer to, for example, NV Moet Chandon, because it offers more complexity and refinement. 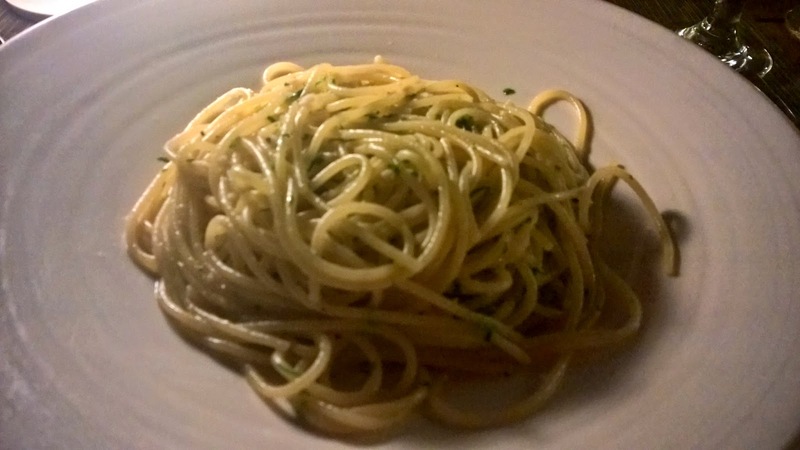 For my main course, I request the Pepperoncini, an off menu dish that is as simple as you could expect a dish to be: spaghetti, garlic, chili and olive oil. The only thing missing is the explosion of chili I usually enjoy. 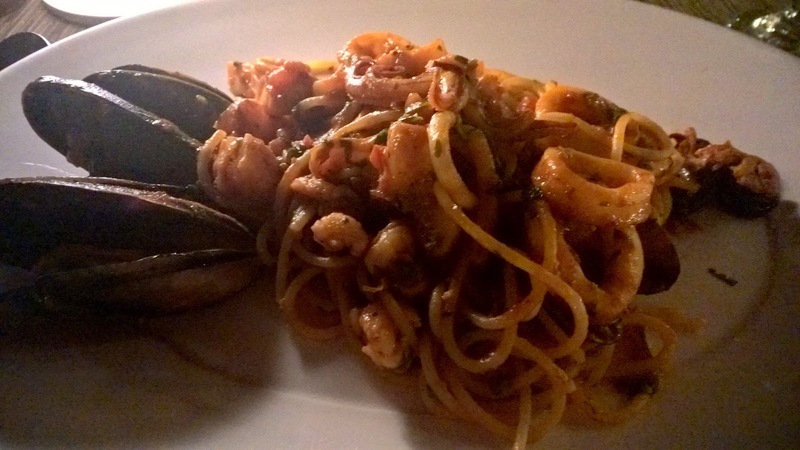 Meanwhile, my guest orders the Spaghetti ai frutti di mare, a seafood pasta. Both are large portions, underpinning Chef's mantra of abundance. The seafood pasta especially is such an advertisement for that belief: healthy portions of baby octopus, mussels and shrimp stand out in the dish. Finally, that tomato sauce is rich and decadent. To round of dinner, for dessert I choose from a selection 8 and opt for the White yoghurt parfait, whole meal crumble and warm wild berries. Having tried the tiramisu before, I am thrilled with my choice, for when I try it, the acidity of the berries immediately takes over before the crumble brings a lovely sweetness; but not just that, also a wonderful texture to the dish. Thus ended my dinner. In the opening I touched on the homeliness of Prego's. I feel I need to qualify that further. It is the kind of place you can just sit back and relax to the nth degree where waiting staff keep the evening relaxed and informal. This was again my experience. Prego's fits nicely into the Italian restaurant market by offering a higher end product in terms of quality of ingredients and service but still keeping things casual. Disclaimer: I consult at restaurants in an attempt to look at the entire product to take service levels to where they should be. I had dinner at Prego's as a guest of the restaurant.